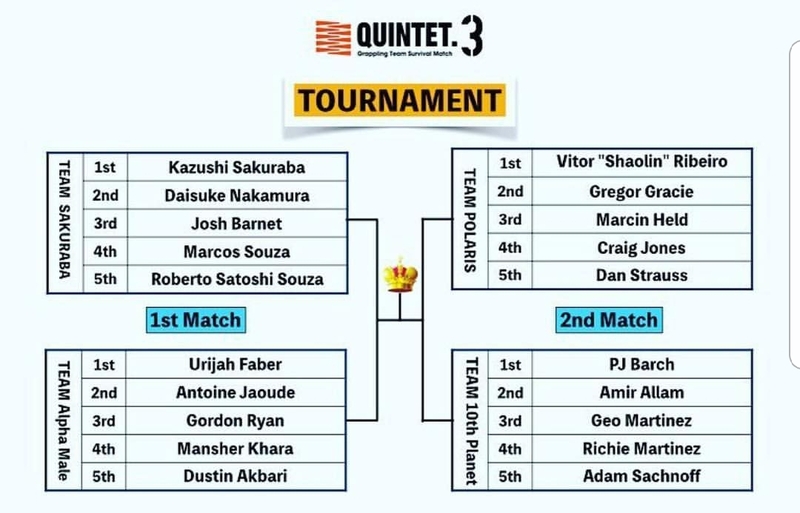 Tonight from the The Orleans Hotel and Casino in Las Vegas, Nevada, Team Sakuraba pairs up against Team Faber as legendary mixed martial arts fighters Kazushi Sakuraba and Urijah Faber lead their five-man teams at Quintet 3. The event streams live on UFC Fight Pass. 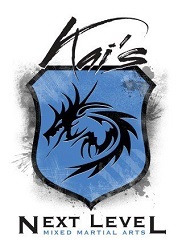 Former UFC heavyweight champion Josh Barnett and elite grappling champions including three-time EBI winner Geo Martinez and reigning Polaris middleweight king Craig Jones are all part of the event. Kazushi Sakuraba vs. Urijah Faber (10 minutes) ends in a DRAW and both fighters are eliminated. Daisuke Nakamura vs. Antoine Jaoude (4minutes) ends in a DRAW and both fighters are eliminated. Gordon Ryan defeated Josh Barnett by Triangle Choke. Gordon Ryan defeats Marcos Souza by Rear Naked Choke. Gordon Ryan vs. Roberto Satoshi Souza ends in a DRAW. Team Alpha Male heads to the finals. PJ Barch defeats Vitor Ribeiro by Armbar. Gregor Gracie defeats PJ Barch by Kneebar. Gregor Gracie defeated Amir Allam by Kimura. Geo Martinez defeated Gregor Gracie by Kimura. Marcin Held defeated Geo Martinez by Kneebar. Richie Martinez defeated Marcin Held by Armbar. Craig Jones defeated Richie Martinez by Ankle Lock. Craig Jones defeated Adam Sachnoff by Rear Naked Choke. 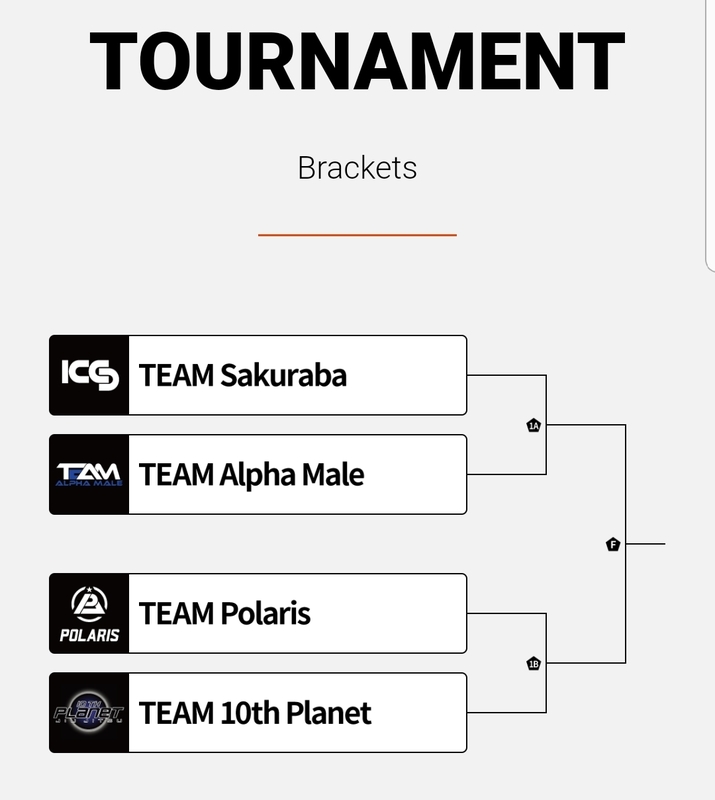 Team Polaris advances to the finals. Dustin Akbari vs. Dan Strauss ends in a DRAW and both fighters are eliminated. Mansher Khera vs. Marcin Held ends in a DRAW and both fighters are eliminated. Craig Jones defeated Antoine Jaoude by Rear Naked Choke. Gordon Ryan defeated Craig Jones by Rear Naked Choke. Gordon Ryan defeated Vitor Ribeiro by Armbar. 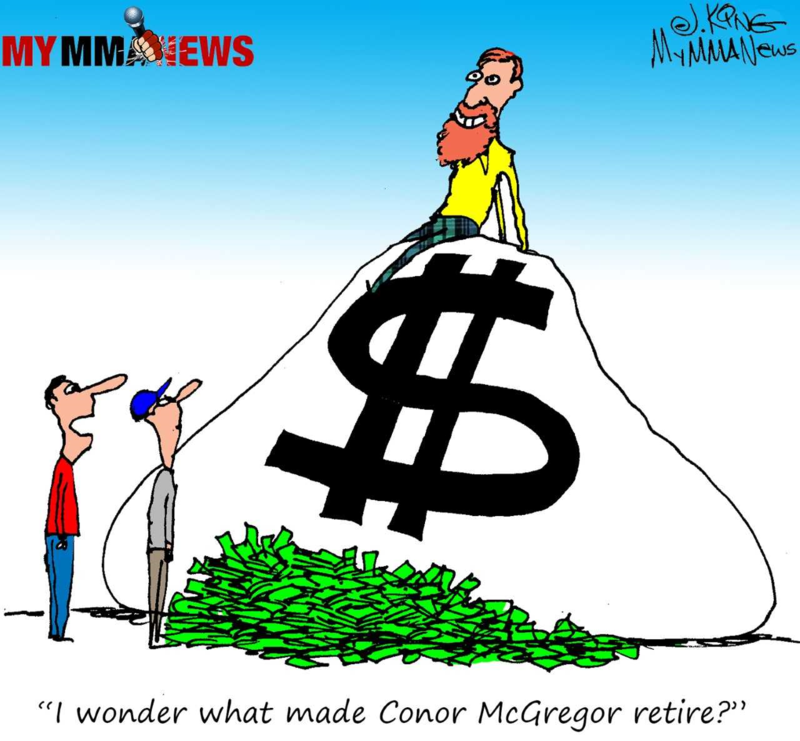 Gordon Ryan vs. Gregor Gracie ends in a DRAW…. 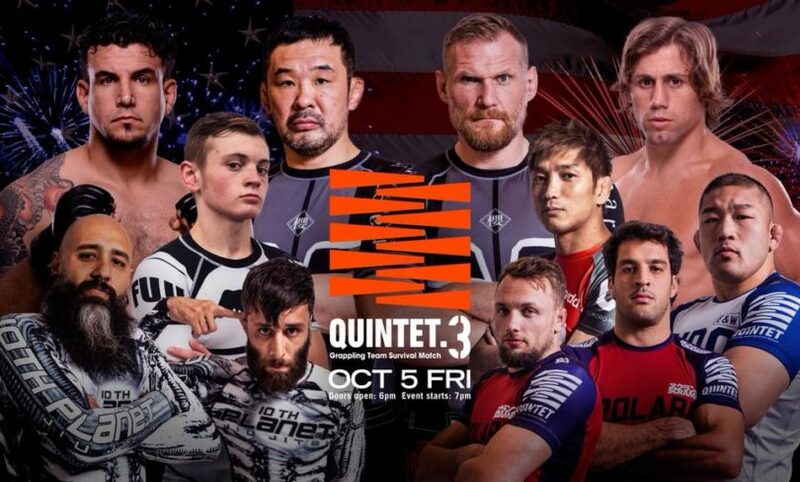 Team Alpha Male wins Quintet 3! What a performance by King Gordon Ryan! 1. 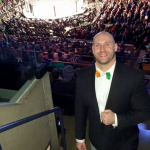 Nicky Ryan defeated Hideo Tokoro by Rear Naked Choke. 2. Satoshi Ishii defeated Frank Mir by DQ in OT. 3. 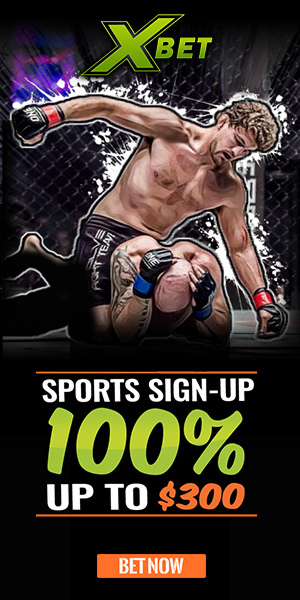 Marcelo Nunes defeated Haisam Rida by Head And Arm Choke.